Moisture Analyzers, or moisture meters, are available below from leading manufacturers and brands such as OHAUS, Sartorius, Torbal and RADWAG. Moisture Meters are laboratory measuring instruments that are intended to determine relative moisture content in samples of different substances. Each individual brand and model of moisture meter is equipped with specific and defining features that make each unit ideal for different needs and applications. Check out our spotlight product, or continue scrolling down below to view our full product range. 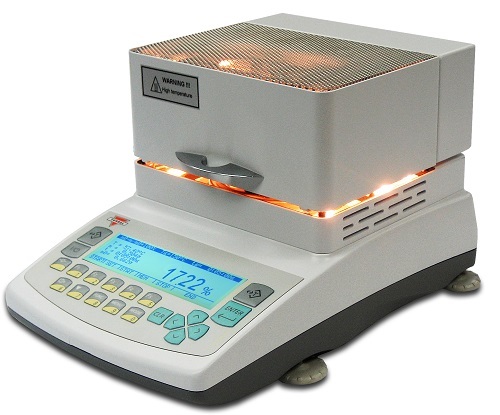 RADWAG 3Y Series Moisture Analyzers are laboratory measuring instruments that are intended to determine the relative moisture content in samples of different substances. RADWAG 3Y Series Moisture Analyzers feature 5.7" LCD color touch panels. This provides you, as a user of RADWAG 3Y Series Moisture Analyzers, with new possibilities within the scope of balance operations and presentation of measurement results. 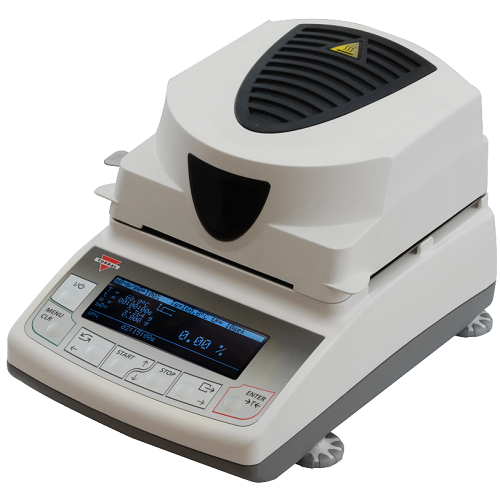 RADWAG 3Y Series Moisture Analyzers feature extended databases that contain programmable drying modes related to the database of samples. RADWAG 3Y Series Moisture Analyzers enable printing and exporting of charts presented on its display to a BMP file. Customization of various settings on RADWAG 3Y Series analyzers is possible thanks to the extended user profiles. The balance level is monitored by the ‘LevelSENSING’ system - a RADWAG patented solution which uses an electronic leveling system. Standard and user-defined printouts allow for the maintenance of documentation complying with GLP/GMP requirements in almost any organization or lab. Are these moisture meter products not exactly the items you are looking for? The huge variety of products and accessories available here at Pipette.com means that we have the right unit, accessory or disposables to meet whatever specific requirements you have for your lab or facility. If you need any assistance in choosing the right piece of equipment for your specific needs or lab, just give our team a call on 1-800-243-3232 or send us an email at info@pipette.com and a member of the Pipette.com team will be happy to talk you through the various options available and help you pick the perfect items for you. 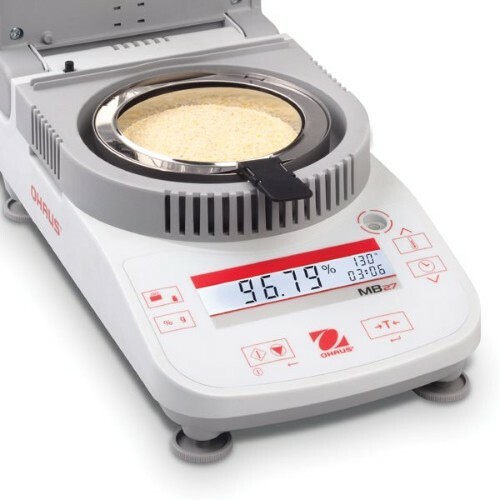 Precision Moisture Analyzer (Moisture Meter/ Moisture Balance) by Torbal Scientific Industries measures sample moisture with the loss on drying method (consisting of a weighing and a heating unit (infrared)). These moisture analyzers are commonly used to analyze moisture in wood, plants, leaves, food, & animals. Professional Moisture Analyzers (Moisture Meters/ Moisture Balances) by Torbal Scientific Industries – designed for the most challenging and demanding moisture applications. 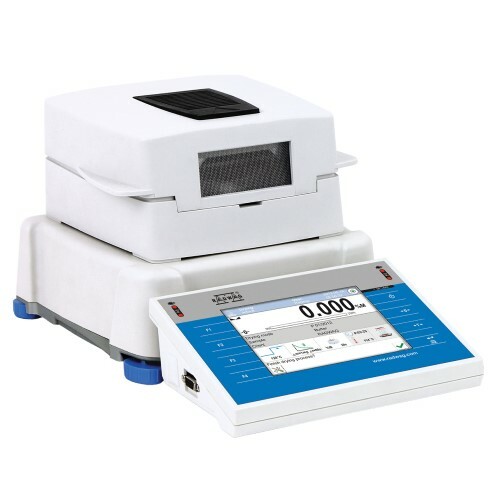 OHAUS MB120 Moisture Analyzers embody the sentiment of Moisture Analysis Made Simple and Powerful. OHAUS MB120 Moisture Analyzers delivers functionality and precision that you can rely on. Easy to operate and clean – you can test more samples in less time! 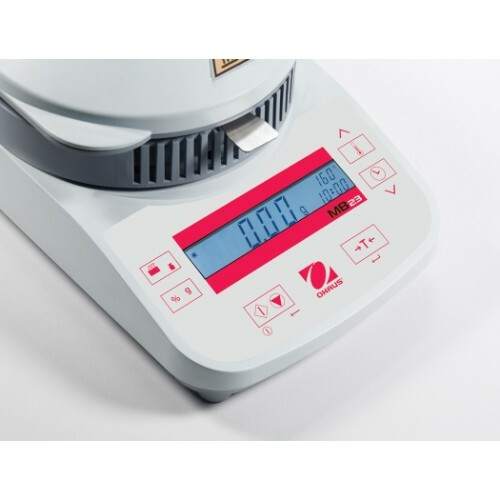 Ohaus MB90 Moisture Analyzers combine speed and precision in one moisture analyzer, allowing you to test more samples in less time. Ohaus MB90 Moisture Analyzers are intuitive with the icon-driven menu navigation on the touchscreen display. The OHAUS MB27 Basic Moisture Analyzer combines high quality and durable construction into a sleek, compact design. The MB27 offers dependable, accurate results for a wide variety of moisture analysis applications. Available at Pipette.com today! The OHAUS MB23 moisture analyzer provides precise moisture content determination at an unbeatable value. With a large backlit LCD display, standard RS232 port, 110g capacity with a readability of 0.01g/0.1% and an non-glass infrared heating element, the MB23 offers moisture analysis for any budget.